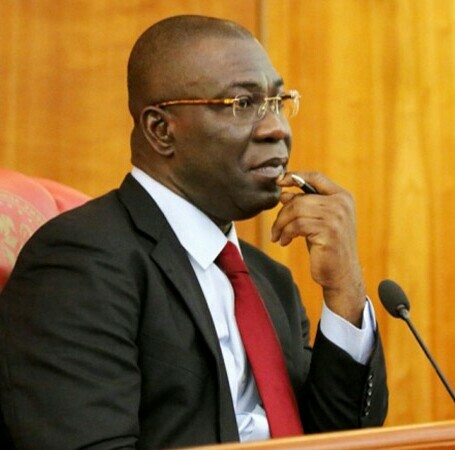 Deputy President of the Senate, Ike Ekweremadu, has called for early and direct primaries by political parties to make the nation’s electoral process more credible and deepen her democracy. He made the call at a one-day summit on Electoral Reform organised by the Senate Committee on the Independent National Electoral Commission (INEC) in collaboration with the Policy and Legal Advocacy Centre (PLAC) at the National Assembly, on Monday. Ekweremadu, who spoke through his Special Adviser on Media, Ache Anichukwu, urged that conduct of primaries by political parties owing mainly to constitutional restrictions posed serious challenges to the electoral system, while the parties’ penchant for indirect primaries had undermined internal democracy in the political parties. Stressing the need for Nigeria to learn from international best practices, he said: “In the United States of America (USA), presidential primaries for presidential candidates start about twelve months to the election, culminating in the convention, which is usually a celebration of an already known candidate of the party. “In Ghana, although neither the Constitution nor the Electoral Act gives any specific period for the conduct of presidential and parliamentary primaries, individual parties have provisions in their respective constitutions for early primaries. The Senator who also chairs the Senate Committee on the Review of the 1999 Constitution, described the benefits of early primaries as manifold. He said early primaries would allow the winning candidates in these early primaries the foothold to raise sufficient campaign funds for the larger contests. He added: “Early primaries afford parties and candidates the time to visit every part of the country/constituency. “It also allows them to initiate and shape the national conversation about their identity and future direction, defining ideologies and manifesto. “Early primaries will help the judiciary to conclude all pre-election litigations and assist the election management body to have ample time to plan and deliver credible elections”. Ekweremadu further argued that with early primaries, “resources expended on conduct of bye-elections over the fielding of the wrong candidates or omission of candidates will also be drastically reduced”, adding that knowing early enough whether they have their parties’ tickets or not would enable also enable elected political office holders to plan ahead for life after their tenure. The lawmaker who also canvassed staggered primaries, said that holding primaries in different states on different dates for presidential aspirants, for instance, would “allow the optimization of the use of resources such as security forces and increases the possibility of closer scrutiny and transparency and management”. On the imperatives of direct primaries, Ekweremadu regretted that while Section 87 (2) of the Electoral Act provides for the nomination of candidates by political parties for the various elective positions through direct or indirect primaries, parties had always favoured indirect primaries, which, according to him, were less transparent, participatory, and democratic. To this end, he suggested the amendment of Section 87 of the Electoral Act to make the conduct of direct primaries compulsory for all political parties, noting that presently, mandatory direct primaries only apply to the election of councillorship candidates.